When did you serve? Infantry or air force? Where were you stationed? In Duke’s Korean circles, these are the kinds of questions that replace the typical student queries about majors or dorms. In South Korea, every man between the ages of 18 and 35 must serve in the military for a minimum of 21 months. Avoiding service can lead to imprisonment. Only individuals who have made specific contributions to their country—say, an Olympic medal—are exempt. South Korea is not alone in this regard. According to the CIA website, some nations have mandatory service requirements, while many rely on drafting lotteries. The degree to which different governments enforce conscription varies, however. In Israel, for instance, exemptions are given for individuals who have moved out of the country as well as those who have religious reasons for not serving, according to a May 2013 article published in The New York Times. Taiwan used to have a mandatory conscription process, but has gradually removed its requirements since 2010. The small island nation of Singapore is one of the few countries whose requirements are as long and rigorous as those of South Korea, with universal conscription for men and two-year service periods. In each graduating class, anywhere between five and 15 Korean men will leave behind their studies at Duke to enlist in the army, said junior Jun Yoon. This is a diverse group of students that shares many of the same interests as others at Duke—they’re economics majors, soccer players or musicians. Unlike other Duke students, however, these students will graduate having spent two years rigorously training to defend their nation. South Korea has been in a state of ceasefire with its northern neighbor for more than 50 years, ever since the end of the Korean War in 1953. In that time, countless men have been drafted to serve at military bases near the border, a demilitarized zone between North and South Korea that symbolizes the uneasy peace between the two nations. Recent years have seen rising tensions and new sources of conflict. In 2010, a North Korean submarine torpedoed a South Korean ship, the ROKS Cheonan, killing 46 soldiers. The South Korean government has sought to address this state of uncertainty with a conscription process that often limits personal freedoms, but Korean men do get to make one key decision: when to serve. For Korean students at Duke, this usually means one of three preferred options: after freshman year, after sophomore year or after graduation. Yoon, who plans on enlisting after the Spring semester ends, noted that his case—waiting for two years before serving—is an exception. There are other benefits to serving after freshman year. 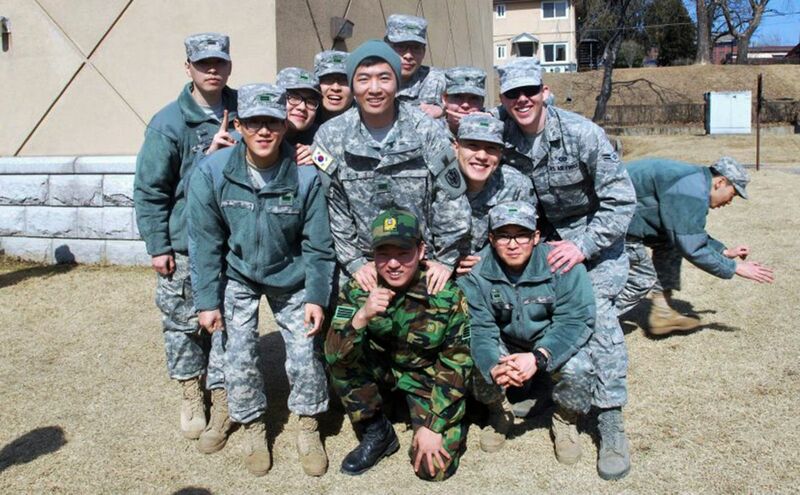 Jun Yoon originally enrolled alongside the rest of the class of 2013, then served between 2010 and 2012. When he returned, his classmates from two years ago—now seniors—were there to help him make the transition back onto campus. Singaporean students, however, cannot choose when they serve. The majority of Singaporean men are drafted at age 18, so Duke students from Singapore arrive as freshmen only after completing their military service. Once the decision has been made to enlist, South Koreans serve between 21 and 24 months in one of any number of divisions, including air force, infantry, marines or special forces, Min Yoon said. Each branch of the army has its own distinct characteristics. Serving with the air force often requires greater intelligence but less physical rigor, while serving with the marines is very physically demanding. Most South Koreans, however, serve in the infantry. Prior to their assignment, every soldier undergoes a period of basic training that provides weapons skills and other fundamentals. Typical responsibilities vary between individuals depending on their vocation and unit. In South Korea, Jun Yoon served as a broadcaster in the Korean Augmentation to the United States Army. After completing five to six weeks of basic army training, soldiers who have strong English skills often apply to work with KATUSA. Yoon passed a series of fluency exams before becoming one of around 3,000 conscripts randomly selected by the program. As a broadcaster, Yoon worked to improve morale as well as connect the American and South Korean troops by producing short video segments that aired on the American Forces Network. Yoon was once tasked with filming the landing of Air Force One in Seoul and producing coverage of President Barack Obama’s visit. 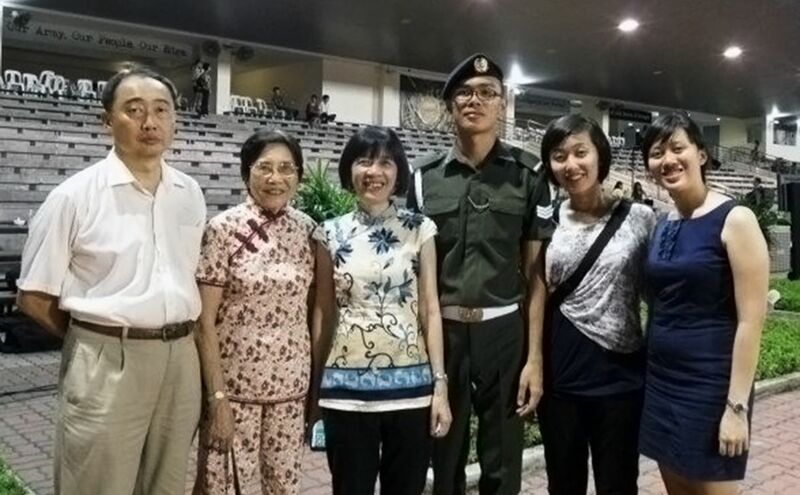 In Singapore, freshman Kai Yu Lee served as a third sergeant tasked with maintaining the security of Changi Naval Base. His unit managed security both from the land and the water, so he would spend some shifts monitoring personnel entering and leaving the base and others monitoring the ships moving about the waters. "Who wants to do that?" Of the many challenges service poses, the interruption of the students’ education rates as only a minor inconvenience. Since Duke has had so many students leave for their army duties, notifying their advisors and deans and filling out the proper paperwork is a smooth process, said freshman Won Suk Choi. It’s also helpful for Singaporean students that Duke allows students to defer enrollment for two years, Lee said. Many universities, such as ones located in the United Kingdom, either do not offer a deferral at all or only offer one year. At just under two years, South Korea and Singapore have two of the longest service requirements in the world. The training itself is another problematic aspect of service. Especially notorious are the hwasaengbang programs, Min Yoon said. During hwasaengbang, soldiers are put in rooms full of gas as part of a simulation of warfare. They are then forced to bear the gas until their skin burns and their eyes tear up. The South Korean military has a more strictly defined hierarchy than the American military, Yoon said. One of the main reasons is the different dynamic of a conscripted force as opposed to a volunteer force. As a result, higher-ups in the South Korean military are more prone to verbally and physically abuse their subordinates, a problem that has persisted for decades. Another issue is that South Korean conscripts receive laughably low wages during their service. There is also a general feeling of resentment that only men are required to serve, Choi said. Women may volunteer to serve in the army, but they are under no obligation to do so. Sophomore Andrew Diao had one additional problem during his two years in the Singaporean army. He’s not originally from Singapore. Diao was born and raised for many years in Hefei, China before moving to Singapore and becoming a citizen. He lived in the country for 10 years prior to his conscription, but never fully identified as a Singaporean. While others could fall back on reasons of patriotism and cultural loyalty, Diao struggled to find meaning in his own service. Jun Yoon arrived back on Duke’s campus two years after he first left for the army. At first, Yoon found himself constantly making efforts to reach out to old friends and meet new ones, as if to make up for lost time. Over time, he began to find his place —he now serves as vice president in the Korean Undergraduate Student Association, where he gives advice to freshmen and sophomores who are planning on serving. It can be tough for Korean students to relate to other Duke students after coming back from service, especially since they return to a student body that is largely younger than themselves. Yoon admitted that one of his biggest concerns is that he struggles to form close friendships with non-Koreans. In the end, many people reflect positively on their experiences in the army. It’s the shared struggles that help foster camaraderie between cadets, the lifelong friendships forged from early morning drills and long nights at the base. Lee recalled having to stay at his base even over Christmas and New Year’s with a handful of his fellow soldiers and main officers, when there was little to do but enjoy the time spent with each other. Mandatory service also allows men of different ages and generations to be able to connect instantly over their shared experience. Because service is so universal in these countries, conscripts are thrust into situations where they have to meet and rely upon many different kinds of people. Jun Yoon, who grew up mostly in Seoul, noted that his work with KATUSA exposed him to American culture through his interactions with the American soldiers. A common refrain when discussing returning soldiers is that service changed them for the better—they’re more mature, they have wider perspectives, they’re totally in better shape. The army makes them “grow up,” Jun Yoon said. The question, then, is whether or not this life-changing experience was worth being traded for the two years it took to complete. For many students, how they answer that question helps them determine the value of their service.